Insanely flavorful and juicy Jacuzzi chicken nachos. 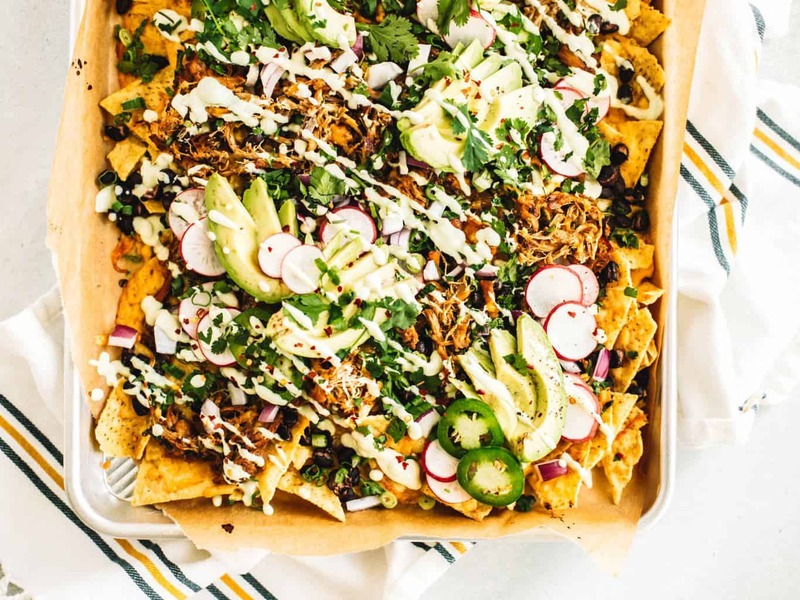 These nachos are topped with shredded chipotle Jacuzzi chicken and avocado crema + all the toppings! Did someone say Super Bowl food coma!? Oh hello hello! You are three weeks into the new year girlfriend, how do you feel?! It took me a little bit to get my wheels turning but I think I am finally feeling 2019. I took the first week to clean and purge out my house. I even started a Whole30 on January 2nd, which was a roller coaster in itself. I will say though that all of my clothes are fitting better, I have so much energy and I can focus so much better at home. Heading into week 4 leaves me starting to think about some epic snacks, especially when it comes to Super Bowl. Especially chicken nachos, my FAV! What is your ultimate, have to have Super Bowl recipe?! I have a super soft spot for these peach bbq chipotle chicken wings! These homemade pretzels with smoked gouda beer cheese sauce always make an appearance! And of coooourse a marg! These lime and chili mescal beergaritas are a MUST! But without a doubt, a platter of chicken nachos is an absolute must! I love Super Bowl appetizers that are easy, finger food friendly and extremely delicious. When I think of Super Bowl recipes I think of cheesy, meaty and extremely savory appetizers. Basically, the kind of food that you want to devour after a night out. 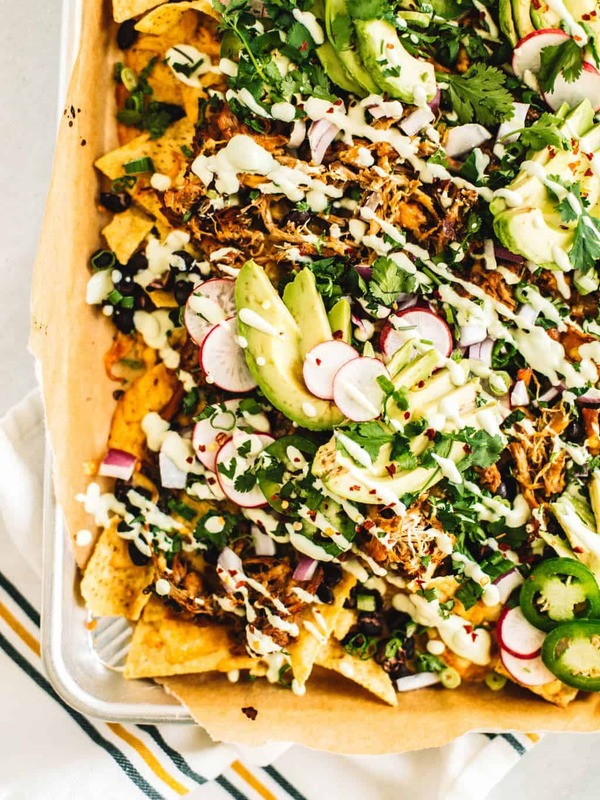 These chicken nachos hit all the marks, and then some. I promise! Whether you are into watching the game or not (totally rooting for the Rams for my Dad! Go Rams!) you will have these chicken nachos to look forward to. These classic Mexican chicken nachos are taken up a notch with the most delicious Jacuzzi chicken layered on top. You might be asking… what the heck is Jacuzzi chicken?! 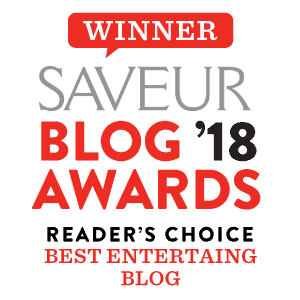 Wellllll… only the best and only way that I cook saucy shredded chicken! I start off by just quickly browning some chicken breasts in a heavy bottomed braiser pan. Then I add in a liquid base of chicken broth, beer, and sometimes even some tequila if I’m feeling crazy! Fill the pan up halfway with liquid and add in some flavoring. 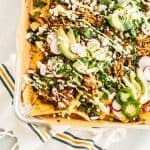 Things like taco seasoning, canned green chilies, and chopped chipotle adobo chilies all work great for this Mexican nacho recipe. I decided to go a little bit spicier this time around with a prominent chipotle flavor. To cool off the nachos I’m topping them off with a hefty dollop of avocado crema. Avocados are in no shortage at my house on Super Bowl. I’m either serving everything with a side of guacamole or topping most dishes off with sliced avocado. 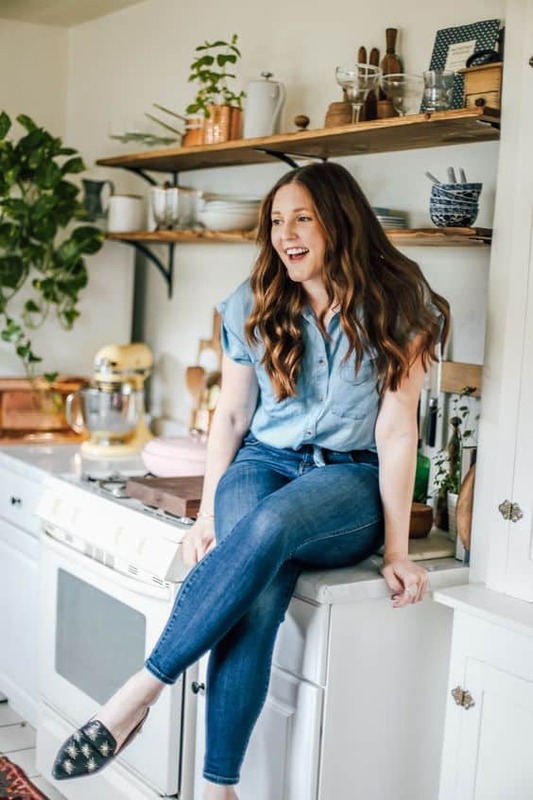 When I’m having a party or a big grocery list I always look for a few ways that will help me save a dollar or two here and there. 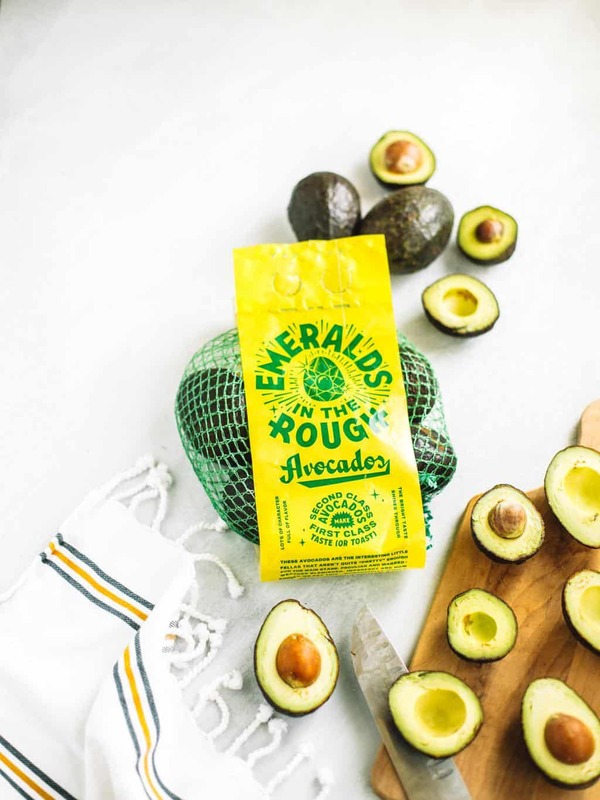 Mission Avocados released a line of avocados called ‘Emeralds in the Rough’ and it’s basically the cutest avocado packaging I have ever seen. 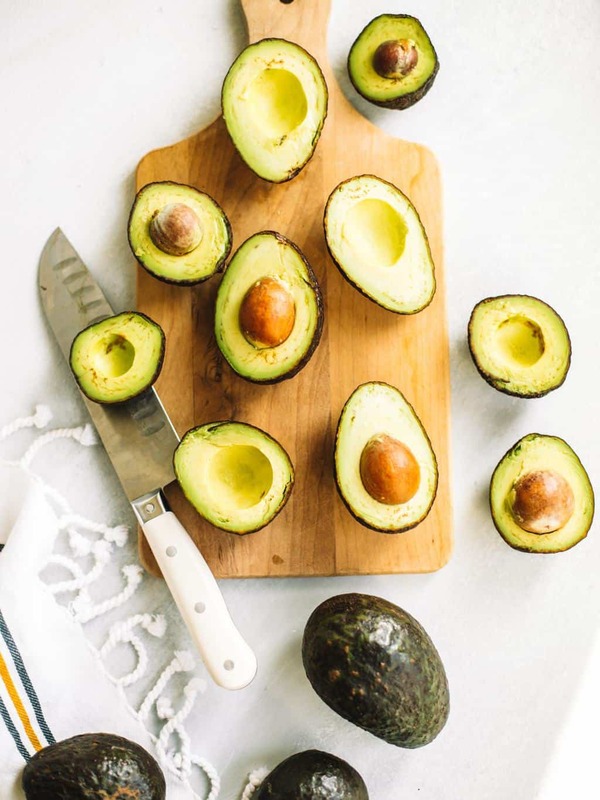 Emeralds in the Rough takes avocados that have minor skin blemishes and sell them for a cheaper price. The inside of the avocado is just as gorgeous as any standard avocado and they taste just as creamy and magical. Keep your eye out for them at the grocery store this season! 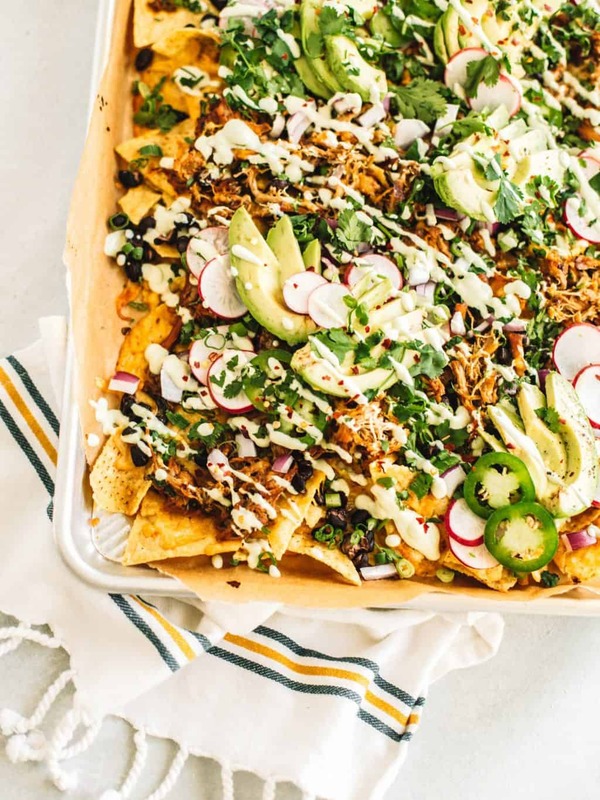 After topping your delish Jacuzzi chicken nachos will all the necessary toppings, pop them in the oven for 10-15 minutes or until the cheese is bubbly and melty. Top the nachos off with a few fresh garnishes like chopped cilantro, pico de gallo, and a generous scoop of avocado crema! Be sure to be on the lookout this week as I team up with Mission Avocados for the most epic super bowl giveaway! The giveaway can be entered on Instagram just look for the picture of these nachos for all the details; you don’t want to miss it! Insanely flavorful and juicy Jacuzzi chicken nachos. 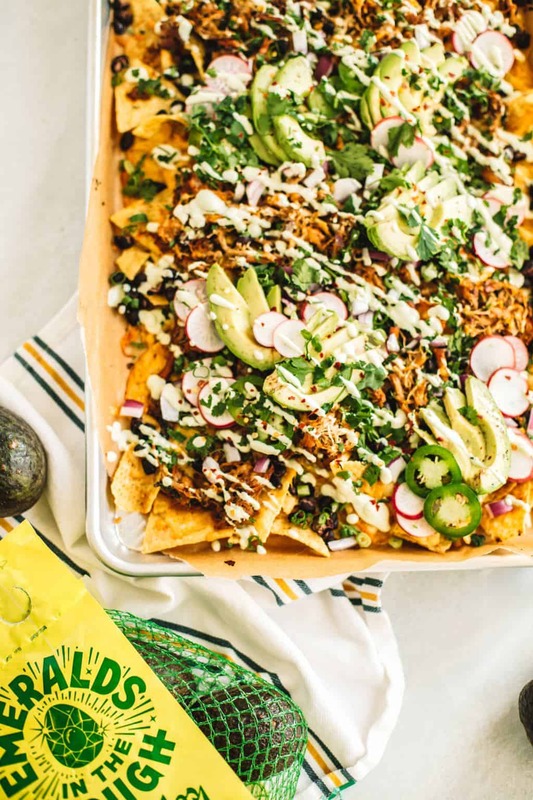 These nachos are topped with shredded chipotle Jacuzzi chicken and cream avocado cream + all the toppings! Did someone say Super Bowl food coma!? Season chicken with taco seasoning generously on both sides. In a large Dutch oven or braiser, drizzle with olive oil and sauté garlic and onions on medium heat until translucent, 5-7 minutes. Remove onions from braiser and set aside in separate bowl. Sear chicken on each side for 3 minutes, chicken will cook through during the full braise. Add the onions & garlic, green chiles, jalapeño, lime juice, chipotle peppers + liquid, chicken broth. Cover with enough beer and chicken broth so the chicken is covered half way. Gently stir and bring to a simmer. Cover and let simmer for 30-40 minutes. Remove chicken and shred with two forks. Return chicken back to braising liquid and toss well. Preheat oven to 400 F. Line a large baking sheet with parchment paper and scatter an even layer of tortilla chips. Layer chips with beans, cheese and Jacuzzi chicken. Bake for 15-10 minutes or until cheese is melty and bubbly. While nachos are baking blend sour cream, avocados, garlic powder, salt and lime juice until smooth. Set aside or in the refrigerator until serving. Once the nachos have been removed from the oven add the pico de gallo, chopped cilantro, red onion, radishes and avocado cream. For an easy drizzle transfer your avocado cream into a zip lock bag and snip the tip to drizzle on top of nachos evenly! It’s about time we as Americans stopped wasting food just because it’s not picture perfect. There are starving people in all our neighborhoods, and we throw out food, why? Kudos to Mission Avocados for being the first to say enough. I agree! I’m so happy to see new and upcoming companies taking advantage of every resource! These avocados were great because while they are all shapes the sizes they tasted just as delicious and are more affordable! Thank you so much Rebekah, enjoy!